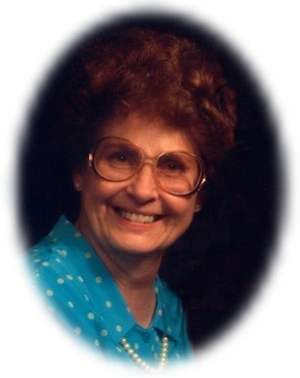 Obituary – Bolay, Wilma “Jean” (Yeager) « Perry High School Alumni Association, Inc.
﻿D. E. 50-51, Basketball Queen Attendant 48-49, Home Room Secretary 49-50, Home Room Treasurer 49-50. Jean Bolay, 76, of Edmond, Oklahoma was the daughter of Floyd and Lois McKnabb Yeager. She was born September 6, 1932 in Pawnee, Oklahoma and died Saturday, November 15, 2008 at her home. 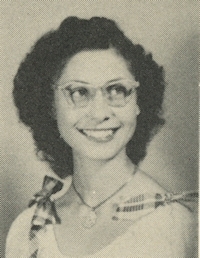 Jean was a 1951 graduate of Perry High School. She and Clovis E. Bolay were married on December 29, 1951 and together raised two children in the greater Oklahoma City area. In her spare time she enjoyed oil and water color painting, reading and writing letters. She was a devoted wife and mother and will be sorely missed. Graveside services will be at 2:00 p.m. Saturday, November 22, 2008 at the Grace Hill Memorial Pavilion in Grace Hill Cemetery in Perry, Oklahoma. Rev. Roger Dunn will officiate. Services are under the direction of Brown-Dugger Funeral Home in Perry. Memorials may be made to the Alzheimer’s Association in care of Brown-Dugger Funeral Home, 1010 N. 7th Street, Perry, Oklahoma 73077. Jean is survived by one daughter, Denese A. Stanley and her husband, Jay, of Edmond, Oklahoma; one son, Dennis A. Bolay and his wife, Sheri, of Oklahoma City, Oklahoma; three grandchildren, Matt Stanley of Edmond, Oklahoma, Abigail Bolay and John Bolay, both of Oklahoma City, Oklahoma; one sister, Cordia Coning of Hollansburg, Ohio; and one brother, Tex Yeager of Shawnee, Oklahoma.